A beautiful set of white round tray top nesting tables with sturdy wooden legs. Use them as a pair or separate them for entertaining. Easy to clean and simple to move around. 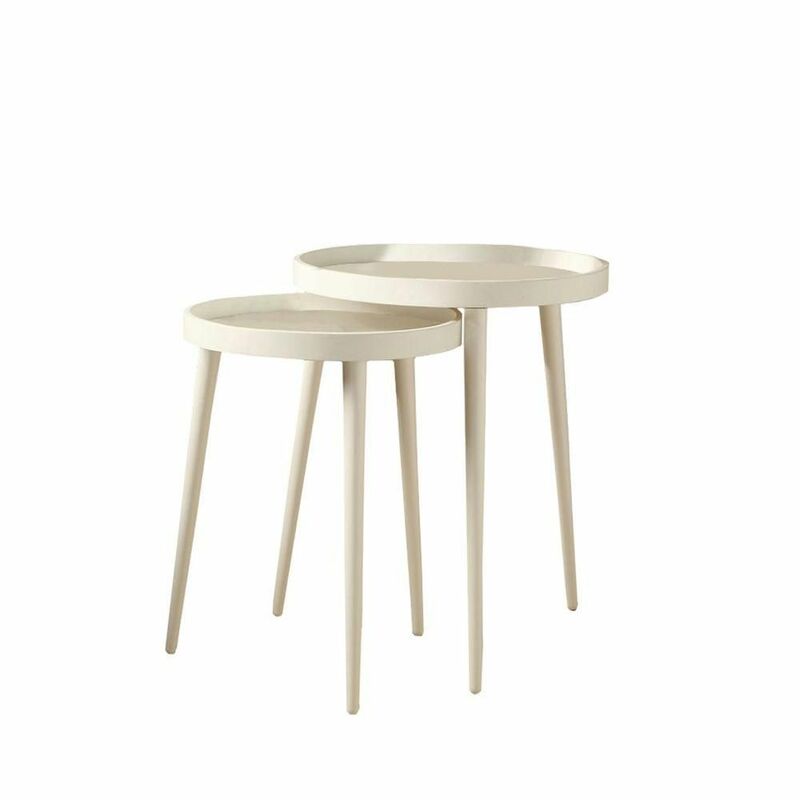 Nesting Table - 2-Piece Set / White A beautiful set of white round tray top nesting tables with sturdy wooden legs. Use them as a pair or separate them for entertaining. Easy to clean and simple to move around. Nesting Table - 2Pcs Set / White is rated 1.0 out of 5 by 1.